The I7 4770 vs I7 4790 is a commonly asked question around the world because of the price difference & performance; we’re here to compare the two and show you some benchmark results and help you decide which of them is more worthwhile. 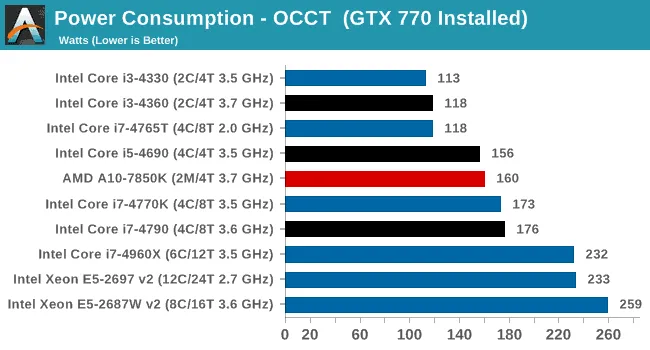 As you would expect, the I7 4790 is a direct upgrade / latest version of the I7 4770 however the price is also different while the performance bonus may not be worth paying the extra money, perhaps the I7 4770 may even outperform the I7 4790 in particular scenarios, we will test both of them in similar situations & builds in a large variety of environments. The I7 4790, in theory, is a superior version of the 4770, it is known for its high performance in gaming & should be a safe buy regardless of whatever conclusion we reach in this article, it has been tested by thousands of people, and it has outstanding performance overall. It has a very high base frequency of 3.6Ghz which correlates with its single core high performance shown in gaming, it also goes up to 4Ghz due to Turbo & it also has the “K” version which costs an extra 20-30$ but allows you to overclock your CPU and turn this CPU into a complete monster even though it already has extraordinary performance without being overclocked. The CPU costs 307$ which is not exactly a small amount, as such if you overclock we recommend you to take the required precautions. The I7 4770 is the previous version of the 4790, like the former it has a great performance in gaming that is easily comparable to the 4790; it’s also considered a safe buy & worth the investment as well, however we’re here to find which is better regarding money efficiency & performance. It has -200 Mhz Base Frequency than the 4790 and that’s a noticeable difference however only -100 Mhz in Turbo and that makes things different, during gaming your CPU will most likely go on Turbo for highest performance available and as such it’s only a 100Mhz difference. However, it’s exactly the same price as the I7 4790 which was a big surprise for us. As you can see there’s hardly any difference, either way, the I7 4790 is ~3% better than the I7 4770 however the I7 4770 also has a little bit less power consumption than the I7 4790, but it’s nothing noticeable. We’ve reached the conclusion that after this I7 4770 vs I7 4790 comparison we would rather get the I7 4790 because since the price is exactly the same, there’s no reason not to get it even if it’s only a 3% difference between them. 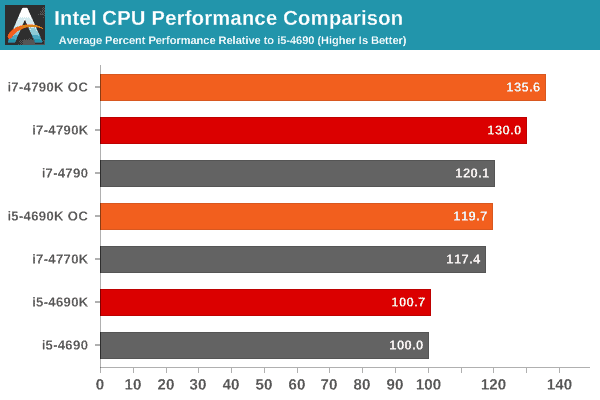 Either way, both of them are high performing CPU’s, and both of them are a safe purchase if you are looking for high quality & high performing CPU’s.